New York City Football Club promotes responsible drinking and positive fan behavior at Yankee Stadium. The NYCFC Fan Code of Conduct and details of the alcohol management plan that appear below ensure that fans have a safe and fun experience. NYCFC and Major League Soccer are committed to creating a safe, comfortable and enjoyable soccer experience for all guests in and around our stadiums. *NOTE: The use of streamers and confetti as an expression of fan enthusiasm is prohibited. Legends Hospitality is the exclusive provider of concessions and catering services at Yankee Stadium. NYCFC and Legends Hospitality work together to promote the responsible use of alcohol. NYCFC prohibits anyone from bringing alcohol into the Stadium. Anyone who deliberately conceals alcohol while attempting to enter the Stadium will be denied entry without refund and will face possible arrest and/or revocation of season tickets and/or future ticket privileges. Those who are or appear to be impaired will be denied entry. Alcoholic beverages may not be removed from the Stadium. 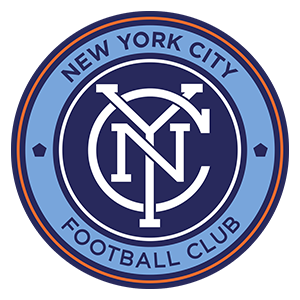 NYCFC and Legends Hospitality reserve the right to deny the sale or service of alcohol to Guests who show signs of impairment. Guests found in possession of alcohol after being warned not to consume or purchase alcohol face immediate ejection without refund and possible arrest and/or revocation of season tickets and/or future ticket privileges. It is a violation of New York State law to serve alcohol to anyone visibly impaired. NYCFC reserves the right to discontinue the sale of alcohol at any time. Designated drivers who make this pledge at NYCFC home games receive a free soft drink and are entered into the Major League Soccer Responsibility Has Its Rewards Sweepstakes.